Wafffles on low carb? I’m a big fan of waffles for breakfast. 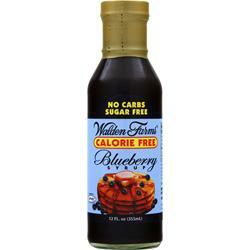 A lot of low carb pancake and waffle mixes are on the market – how do they stack up? Test Procedure – All MTTs were done at breakfast between 6 AM and 8 AM. Every MTT was of a single waffle, with a couple of tablespoons melted butter and a couple of tablespoons of Walden Farms Pancake Syrup, Blueberry Syrup or Strawberry Syrup. One preprandial blood glucose measurement was made no earlier than 5 minutes before starting to eat. A postprandial blood glucose measurement was made between 60 and 70 minutes after finishing eating. At least ten MTTs were completed of each product. Test and Analysis Results The table below ranks the waffles I tested from top to bottom based on how much they raised my blood glucose. The table also shows the price of the pancake or waffle mix and where I bought it. CHO is carbohydrate; F+SA is Fiber and Sugar Alcohol. The clear winner was the almond meal pancake recipe from the About.com low carb web site. I used 3 drops of liquid Splenda in this recipe. The consistency is a bit thick for waffles; I used 1/3 cup water instead of ¼ cup. The Carbquick Belgian Waffle recipe produced batter with the consistency of bread dough. I had to double all the wet ingredients. I preferred the taste of New Hope Mills Pancake & Waffle Mix, which came in second, to that of the almond meal waffles. However, New Hope Mills waffles increased my glucose significantly more than the almond meal waffles, which had essentially no effect on my blood glucose. There was very little correlation between claimed carb count and how these products affected my blood glucose. The almond meal waffles had the highest net carb count, but the smallest effect on my blood glucose.